Washington D.C., Aug 27, 2018 / 05:02 pm (CNA/EWTN News).- Multiple bishops have responded to a testimony published over the weekend by a former apostolic nuncio to the United States, which called for the resignation of Pope Francis and several cardinals and bishops, who are alleged to have covered-up of sexual abuse allegations against former cardinal Theodore McCarrick. In the testimony, Archbishop Carlo Maria Viganò, 77, who served as apostolic nuncio in Washington D.C. from 2011 to 2016, wrote that Benedict had “imposed on Cardinal McCarrick sanctions similar to those now imposed on him by Pope Francis” and that Viganò personally told Pope Francis about those sanctions in 2013. In a statement issued Sunday, Cardinal Blase Cupich of Chicago responded, saying that Vigano must be “confused about the sequence of these events,” as he was named to the Congregation of Bishops on July 7, 2016, before he was named a cardinal on October 9, 2016. Cupich said he found these words “astonishing” because he had only ever received “supportive remarks and congratulations” from Vigano regarding his appointment to Chicago. “As to the issue of my appointment to Chicago as well as the question of episcopal appointments in general, I do not know who recommended me for the Archdiocese of Chicago, but I do know that Pope Francis, like his predecessors, takes seriously the appointment of bishops as one of his major responsibilities,” Cupich said. Cardinal Joseph Tobin of Newark is mentioned twice by Vigano, first along with Cupich, in Vigano’s assertion that his appointment to his current position was “orchestrated” by McCarrick, Maradiaga and Wuerl. “The factual errors, innuendo and fearful ideology of the ‘testimony’ serve to strengthen our conviction to move ahead resolutely in protecting the young and vulnerable from any sort of abuse” and guaranteeing a safe environment for all, the statement said. Pope Francis on Sunday responded to questions about Vigano’s testimony by saying that he will “not say a single word about it” and encouraged journalists and Catholics to study the testimony and its claims and draw their own conclusions. 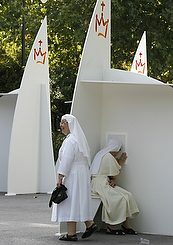 “In its ideologically-driven selection of bishops who are attacked, in its clear efforts to settle old personal scores, in its omission of any reference to Archbishop Vigano’s own massive personal participation in the covering up of sexual abuse by bishops, and most profoundly in its hatred for Pope Francis and all that he has taught, Archbishop Vigano consistently subordinates the pursuit of comprehensive truth to partisanship, division and distortion,” McElroy said. “We as bishops cannot allow the pathway of partisanship to divide us or to divert us from the searing mission that Christ calls us to at this moment,” he added. The Archdiocese of Washington, D.C., of which Cardinal Donald Wuerl is the head, issued a statement reiterating that Wuerl has “categorically denied that any of this information was communicated to him” regarding any sanctions against McCarrick and his ministry. “Archbishop Viganò at no time provided Cardinal Wuerl any information about an alleged document from Pope Benedict XVI with directives of any sort from Rome regarding Archbishop McCarrick,” the archdiocese stated. 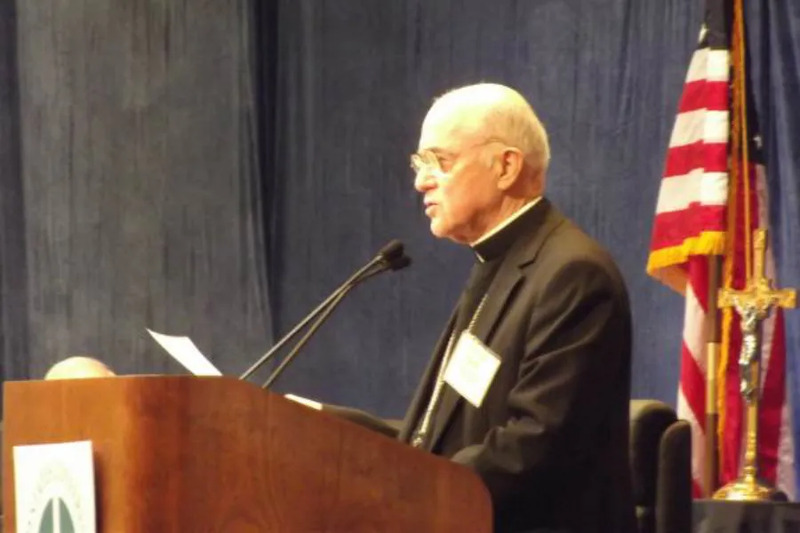 Vigano wrote it was “absolutely unthinkable” that Archbishop Pietro Sambi, nuncio at the time the restrictions were imposed, would not have informed Wuerl about the restrictions placed upon McCarrick. Wuerl’s spokesperson Ed McFadden told CNA on Saturday that Vigano “presumed that Wuerl had specific information that Wuerl did not have” regarding any specific allegations or sanctions against McCarrick. Pope Emeritus Benedict XVI and McCarrick, both mentioned in the testimony, have not issued responses as of press time. While Archbishop Charles Chaput is not directly mentioned in the Vigano testimony, the Archdiocese of Philadelphia, which he heads, is mentioned several times, and its leader is mentioned as someone opposed by Francis and McCarrick. Critics of Vigano have called the credibility of his testimony into question, in part because of Vigano’s own involvement of the case of Archbishop John C. Nienstedt, previously of St. Paul and Minneapolis. Nienstedt was accused of covering up multiple cases of clerical sexual abuse in his diocese at the time, and an investigation reportedly revealed further allegations of sexual misconduct towards seminarians on Nienstedt’s part. In 2016, a document was made public accusing Vigano of suppressing a 2014 investigation into Nienstedt. The memo, written by Father Dan Griffith, an archdiocesan priest who was a liaison to the lawyers conducting an independent investigation into Archbishop Nienstedt, reported that Vigano ordered the halt of the investigation into Nienstedt and the destruction of evidence once sexual and criminal allegations against Nienstedt were uncovered. The move was “a good old fashioned cover-up to preserve power and avoid scandal and accountability,” Griffith said in the memo. Some bishops not mentioned in the testimony have also issued responses to it, mostly calling for prayer and transparency. He called on Catholics to pray for truth and transparency in the coming days, and urged Catholics to not lose hope. “Christ has not abandoned us in this time of crisis. By his rising, he is Lord of all history. And in these trials, he seeks to restore the vitality of his Church,” he said. Where did retired McCarrick live after alleged Vatican sanctions? Springfield, Ill., Dec 2, 2017 / 01:00 pm (CNA/EWTN News).- A new Illinois law requiring public funding of elective abortions is opposed by pro-life groups and taxpayers who have sued the state, calling the measure illegal. The appointment of Cupich Is thought to have been recommended to the pope with particular enthusiasm by Cardinal Óscar Andrés Rodríguez Maradiaga and above all by Cardinal Theodore McCarrick, archbishop emeritus of Washington, a representative of the “liberal” old guard of the U.S. episcopate. Cupich, Tobin (of Newark) and McElroy must go. The faithful should consider protesting the USCCB general meeting in November.